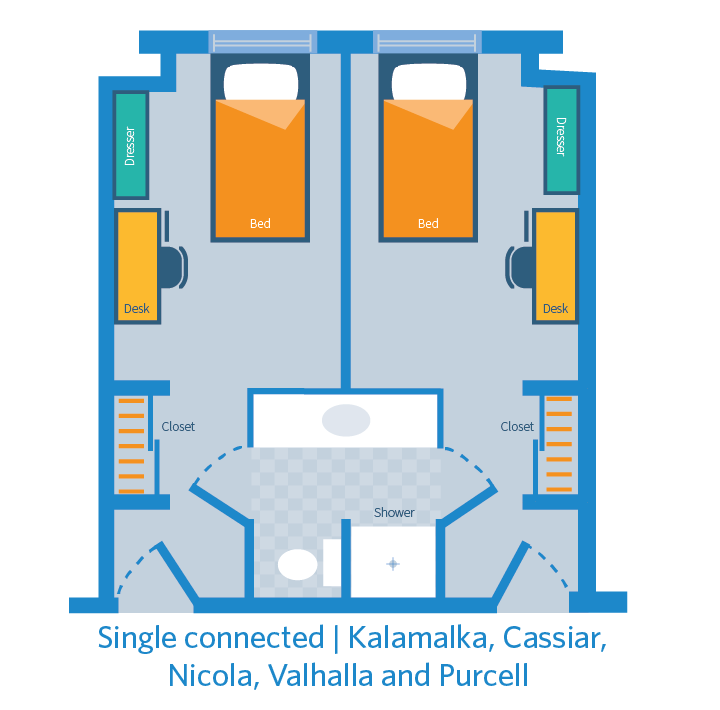 Single connected rooms are located in Kalamalka, Cassiar, Nicola, Valhalla, and Purcell residences. Rooms connect by a bathroom that is shared between two same-gendered residents. 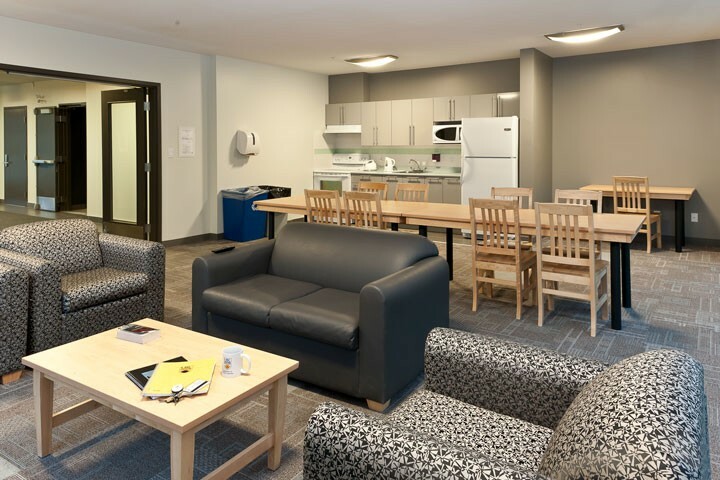 On a standard floor, residents share a common area. Adjustable height twin bed, desk, chair, dresser and closet. Additional fees for optional Shaw cable TV and telephone landline in a private room. 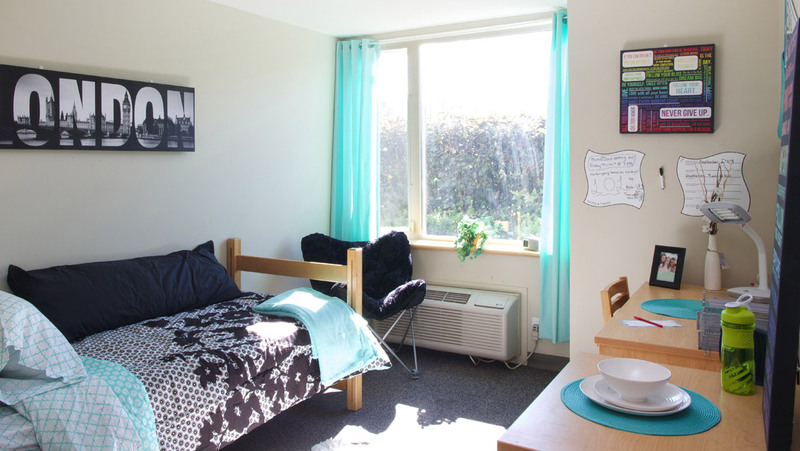 Two same-gendered students share one bathroom that connects between rooms. Each floor has a lounge with a snack kitchen and free basic cable TV. 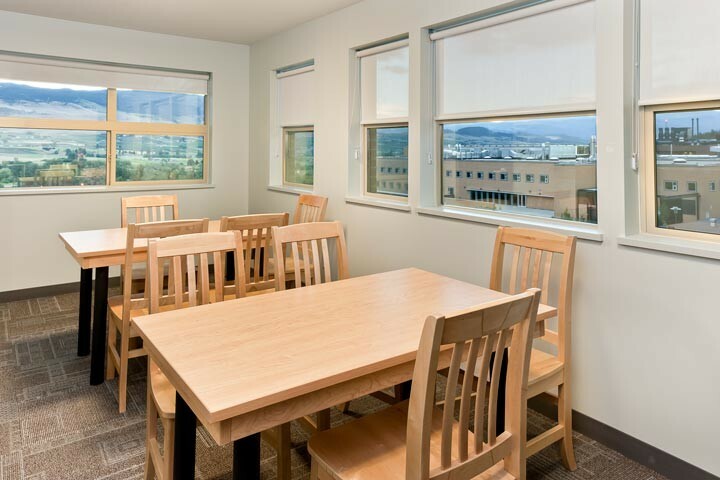 Each residence has quiet study spaces.